I dutifully performed my job as the research-based alternative to the ideology of reform narrative at Education Nation during last year’s Melissa Harris-Perry program. 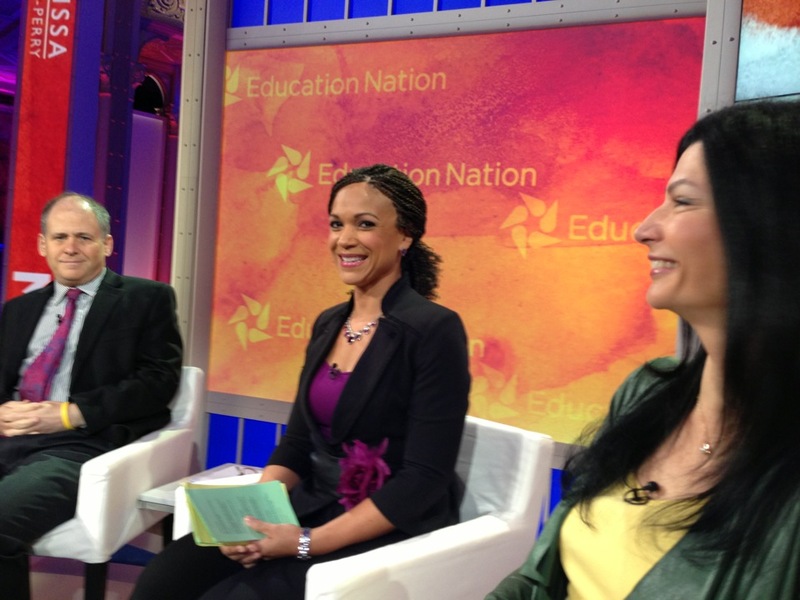 However, this year it looks like Education Nation is determined to stack the deck with non-educators. Is Education Nation now a phony? Who is on tap for the panels? See there current list of profiled speakers here. Who has a platform as educational experts if not educators? Through individual stories, we will form a collective snapshot of the challenges facing our public education system, as well as some of the real successes being achieved in meeting those challenges. 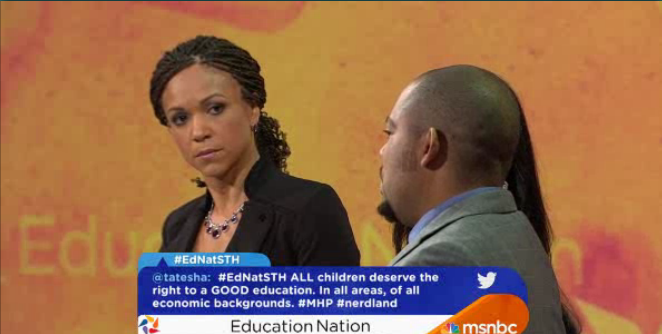 Note, the vast majority panelist have no experience as K-12 educators… Do you find this strange and/or typical? Who exactly is going to help us form a collective snapshot? How about panelist Lloyd Blankfein, CEO and Chairman of Goldman Sachs, more than 15 politicians, and a gob of Hollywood panelists without educator experience. How about we have the “biggest names in education, politics, business, and entertainment” sit in the audience and submit their input via moderate video clips and we have the “teachers, students, administrators, and parents” have the prominent voice on the panels at Education Nation?!? We just might hear a different perspective on the current conditions in schools under NCLB relative to the “expertise” we will get during two days of national TV programming from more than 50 non-educator reformers. Non-Education Nation is a phony. Melissa Harris-Perry, You are our only hope. Folks need to join in the Anti-EdNation protest, to be held outside the New York Public Library, 06 October 2013 from 12-2. Has Melissa responded to your request? Uh, maybe she too is committed with the media mogul. Let’s see. I was once the PR manager at Telemundo, Puerto Rico. As a communication strategist, I focused on what was going on behind the cameras. One thing behind the camera? Ads! No way traditional media can survive without them. MSN is no exception. Even my favorite, TRMS (the Rachel Maddow Show). Show. None of them are journalist, including Melissa. So, expecting Melissa to come to the rescue … well, I would not be so optimistic. After all, ads pay their salaries or contracts. Darn! I am so sorry to be so negative here. Let’s find another network … maybe Core TV? Just saying. By the way, after working for big corps and the media, I lost my faith in them, if I ever trusted them at all. Keep on with the great job you are doing, Julián. It’s like telling the pilot he cannot land the plane until the passengers tell him how to do it.